Expecting Moms, where you at?! You, my friend, deserve an award. There is nothing easy about what you are doing! I know, because I’m doing it myself! It is hard work building a human. As I enter my last 9 weeks, I found myself not only counting down until my expected D-Day, but reflecting on what a journey it has been to get to this point! An emotional rollercoaster, if you will. The aches. The pains. The exhaustion. The worry. The confusion. The expense. The stress. Are all factors that I believe, every woman expecting a baby feels (some don’t admit it as much ;). I’m here to tell you, you are not alone and there are ways to make the next few months, weeks or days easier on you. 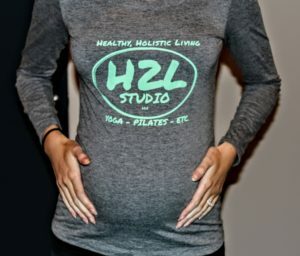 I am probably a little spoiled in that I have had H2L at my fingertips during my pregnancy. 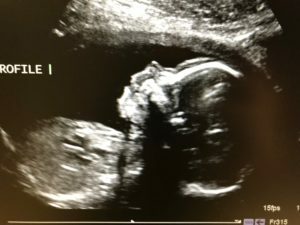 There are a ton of resources here that everyone, especially expecting mothers, can benefit from. But guess what? You can be spoiled, too! There is so much here that will help you. Take advantage, girl, you deserve it. This is a new offering we have at H2L, and I have say.. It might be my favorite. Katie, who recently joined our team, specializes in Prenatal Massage. According to americanpregnancy.org, massage is a great way for moms-to-be to reduce anxiety, decrease symptoms of depression, relieve muscle aches and paint and improve labor outcomes and newborn health. Also, it just feels really, really good to lay on your belly for once. Katie has a special pad for the table that lets you lay on your stomach and then prop you up so you are relaxing but also keeping your little baby safe. 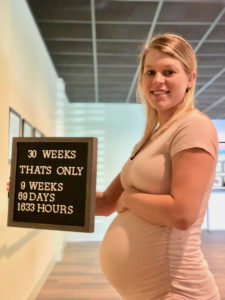 While studies show massage is safe during all trimesters, some woman prefers to wait until their second when their morning sickness has stopped, so they can lay and enjoy. If you are reading down this far, please enjoy this coupon for $10 off your first prenatal massage with us! Using the code BABY10. This expires September, 29th, 2018. Click here to schedule yours today! I love my monthly Reiki session. It’s one of the only times I am truly able to turn my brain off and relax. During my pregnancy, it’s been a great way to calm me. Reiki is a healing technique that uses energy to activate the natural healing processes of your body to restore physical and emotional well-being. You are fully clothed, the therapist is just resting their hands on your body. Woman who have done Reiki during pregnancy have reported feeling more energized, a decrease in back pain, morning sickness, mood changes, stress and high blood pressure. It’s also a great bonding time for you and your babe! Here’s a little more info about Reiki and Pregnancy in a previous blog post. Intrigued? Give it a try! Use the code BABY15 to save 15% off your next Reiki Session with Deborah, Karin or Trish. This code is only good until September 29th, 2018 and can only be used on a full session. Click here to schedule yours today! Our bread and butter… Ah.. the classes. Man, do you have options! All of the classes will offer a different benefit, and of course, it depends on what you like! Here are some things to think about when you are talking yourself into a class. Which, I know is hard… Because we are tired!! But, I promise it’s better for you and the baby if you power through! I’ll start by saying, please always check with your doctor before trying a new type of fitness. Most of the time, you’ll get the green light… But it’s always better to check with them. Even if you’ve done these classes before you were expecting.. It’s nice to get confirmation that you are allowed to continue. Your doctor will probably give you a heart rate to stay under, it’s a good idea to invest in a Fitbit or heart rate monitor to help keep you in check. Barre – During pregnancy, you want to keep things low-impact, so barre, Pilates, yoga, core express, cycling… All great options in that sense! We do a lot of squatting in Barre.. Which is one of the best moves you can do at this time. Squats strengthen your glutes which helps with lower back and pelvic pain. Squats strengthen your pelvic floor muscles which help you during delivery. Pilates – Since Pilates is all about your core, this is a great class to help you get a stronger midsection. By strengthening the transverse abdominals, you are helping to prevent diastasis recti. Pilates classes also help you build a stronger pelvic floor. Breathing is practiced with every move in Pilates.. As your baby grows, you may find it harder to breathe. Pilates will help you work on your breathing connection. Woman who have done Pilates during pregnancy have reported a shorter healing time and quicker return to their pre-baby body. Yoga – Remember to always work at your comfort level.. But yoga can be a great class for you right now! It can help develop stamina, strength, and balance. It’s also good at calming your nerves and helping you relax. Yoga also works on your breathing, as Pilates does. Cycling – Once you get the green light from your doctor, cycling might be the class for you! Strengthening your legs will help you carry yourself as the baby grows. Indoor cycling puts less stress on your body than something like running, so it’s preferred when expecting. For all of these always remember to let your instructor know you are expecting so they can help you modify safely. Remember to watch your heart rate and always work in your comfort zone! Take breaks when needed. Eat before you come and always, always stay hydrated. When you think you’ve had enough water, you can probably have a little more :). Our monthly Restorative Yoga and Stress Relief Workshops have been huge for me in learning to slow down and relax. I am always GO-GO-GO.. And these workshops helped me put that need at bay a little. 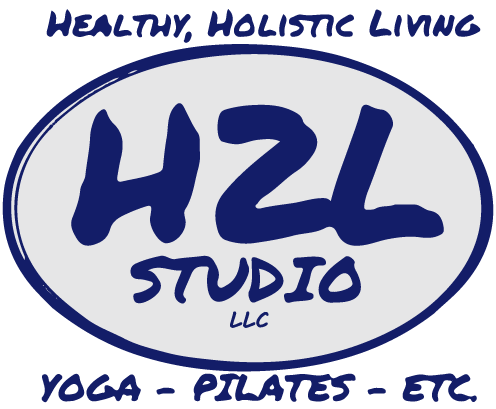 We have some coming up this summer/fall that you might enjoy as well — Yin Yoga for Better Sleep, Hips & Low Back – Yin Yoga for Stretching and in September, Yin Yoga for Increased Energy. These are always changing, so make sure you follow us on Facebook to see all of our Events! Best of luck as you continue this journey! Remember, when it’s all said and done.. we’re still here for you! The same benefits mentioned above apply to postnatal as well.. and then we have Baby + Me Yoga waiting for you when you are ready! Congrats!! And lots of love to you during the next few months, weeks, or days! You’ve this, mama!